The TTC is suing its insurer, Manulife, for up to $5 million in connection with a health benefits scam that allegedly involved more than 150 former employees. The transit agency filed a statement of claim in the Ontario Superior Court of Justice, it said in a news release on Thursday, arguing Manulife didn't have appropriate fraud management controls in place and didn't spot unusual trends that could have curbed the abuse. "The TTC maintains that Manulife breached its duties of care, which contributed to the losses suffered by the TTC and, thus, the public," the release states. The multi-million dollar scam was exposed in 2015, when the TTC, Manulife and police learned a series of false medical claims were being submitted by a company called Healthy Fit, which provided orthotics, braces and other medical devices. Earlier this week, the proprietor of Healthy Fit pleaded guilty to two counts of fraud over $5,000 and was sentenced to two years in prison, the TTC said. 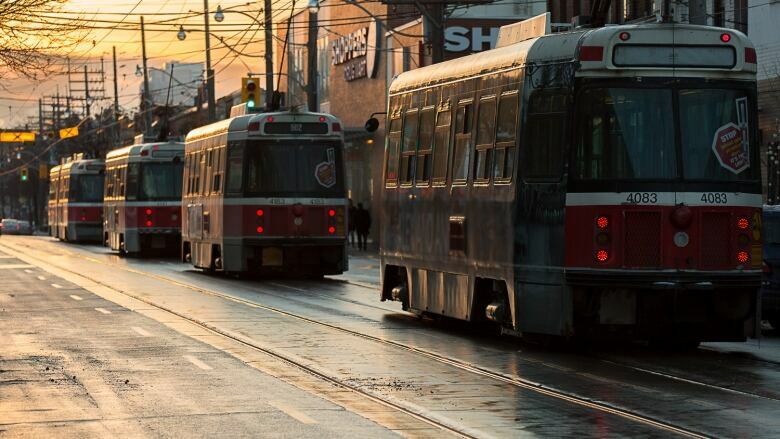 Meanwhile, ten TTC employees are facing criminal charges for their role in the scheme. The TTC says 170 employees have been dismissed or "resigned or retired to avoid dismissal," and that its investigators are still interviewing employees. "Where evidence shows the TTC's benefits plan was billed inappropriately, demands for repayment are made and employees face discipline, up to and including dismissal," the TTC said in its news release. Police allege between 2011 and 2015, the owner and an employee of Healthy Fit "counselled and conspired with" multiple TTC employees, who submitted over $5 million in claims to Manulife. In some cases, invoices were filed for no products at all and the insurance payments were split with customers, according to police. Manulife has three weeks to provide a response to the TTC's statement of claim.